Written in Dr. Wile’s conversational style with hands-on science activities. It’s a very homeschool-friendly program with a Christian perspective. 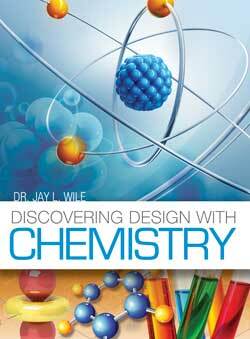 Introduces science concepts as they were discovered in history is Dr. Jay L. Wile’s goal. Doesn’t it make sense to learn about scientific discoveries in chronological order—Coordinate your study of science with your study of world history. The first section of each text has simple instructions. Science In the Beginning has three levels of review for each lesson for students with different skill levels. Gather the easy-to-find supplies with the handy master supplies list. Teacher involvement is necessary for each course. You’ll need to direct the activities and read to or with the child(ren). Create homeschool memories with one-on-one interactions with your student. The Science in the Beginning Set includes one of each of the following items. There are 90 lessons in this course. Instructions explain that you can do lessons every other day if you want to include the optional challenge lessons or only twice a week if you don’t. Wisely, Dr. Wile leaves it to the parent to decide how many science lessons their children need. Students who have a talent for science will want to do the challenge lessons. Skipping the extras doesn’t interfere with regular lessons because the content in challenge lessons isn’t linked to the regular lesson content. Each lesson has a hands-on activity that will engage your student. The reading part of the lessons is usually 1-2 pages. At the end of each lesson is a review. The review has three levels of questions: Youngest Students, Older Students, and Oldest Students. These are writing/journaling types of questions. Science in the Beginning Textbook is a hardcover textbook with beautiful photographs and sketches. It is fun to look at it. We like an appealing science book. The lessons are divided into six units of 15 lessons each. There are review lessons. Science in the Beginning covers topics in order of the days of creation. Land animals, people, and the five senses for day six. There’s a nice discussion of the seventh day of the creation week. In the last section of the book is a handy glossary. Learning new science vocabulary is important. Note: I read one review on the web from one of the homeschoolers in Australia who was a beta tester for it. It said that the answers were in the back of the text. However, in this edition, it’s in the Helps and Hints. The textbook has no answers.